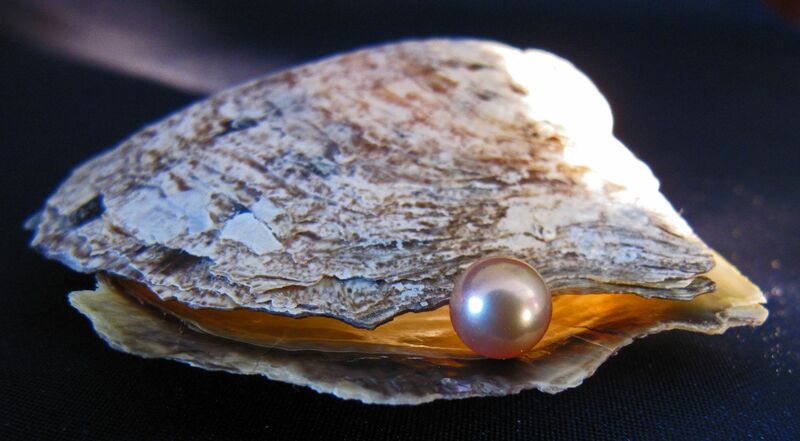 ‘A pearl of great price lies deep within. The result of the Divine Dance that birthed our Being. Somewhere within the mundane mess of life there lies something very precious indeed; something hidden to our fragmented psyche-soul, commonly referred to as the ego; something hidden to our imposter persona, the mask with which we face the world and, more often or not, often ourselves. In our youth we regularly rode off like the delusional Don Quixote to conquer our much desired windmills, the manifestations of our utopian dreams, our victories in the one- upmanship battles of life. Winning some and losing some was the name of our passionate game, our sense of reality in this space-time sea of opportunity. And yet, even in the intoxicating elation and depression of such a psychic game, there sometimes appeared, totally without warning, a little glimmer of something other, something totally other. Unknown to ego, this teasing treasure was the goal of our frantic search all along, this little deposit of Divine essence. By its very Nature, Divine Love cannot help but share itself, creating something of itself in all that it births; rumours of glory or reflected Presence if you like. The One Way overflow of such a giving Other is somewhat hilarious if it wasn’t so profoundly awe-inspiring. A God with no concern for the security of uniqueness, the illusionary jealousy that fuels our own survival egos. Partnering itself in the Divine Dance, the Source of All flings the essence of its Being into the Void of Nothingness, the seed bed of our beginning, the womb of the Transcendent Morning. A fire is lit in the tinderbox of compressed energy, one that will burn into Being, the Being of Self, the reflected I AM. And so we enter this Mystery, this darkness disguised as light, with an insatiable hunger in our hearts for reconnection and knowing. In the Nighttime of our Journey we bump into the obstacles set up by ego, those stumbling blocks that shout their message of despair and hope. ‘Not here,’ they call out in their skewed integrity, ‘The One you search for lies beyond.’ Like a seemingly endless game of Cosmic pin-ball we bump from one dark friend to another until the time has come. Ego lies exhausted at the feet of Presence. The Divine process has done its thing. Something catches our desperate I, an inner glimpse of Light, a constant and persistent luminescence that will not yield to the death wails of our fractured psyche-soul. The Time of Unveiling has come; the fiery Pearl within takes its place in the darkened throne room of our conscious mind. The lights have finally come on in the reason filled corners of our thought filled understanding. The days for chasing religious, spiritual and philosophical windmills have come to an end. We have come Home. I so enjoy your writing. Thank you. I am blessed. Thanks Sunny. Glad that my metaphysical musings touch a chord with you somewhere deep within! Lovely to hear from you as always! Beautiful writing, Dylan ~ so mystical, filled with the poetic majesty of the Soul!!! Source is the great Mystery that choses to flow through the most broken of mankind. Bless you as you continue to write along the Way! Absolutely lyrical and beautiful, Dylan. As I read this, I couldn’t help but think of Shalom Spiritual Community members desperately needing prayer for what appears to be dismal financial circumstances: people about to lose their homes; health issues that are forcing people to choose between medicines and groceries; worries that plague us/them about being able — supernaturally — to meet tomorrow’s demands. Thank you for linking up with our online congregation. Will you call upon the magical, mystical, mysterious powers of El Shaddai and pray that these even minimal needs be met? Thank you.